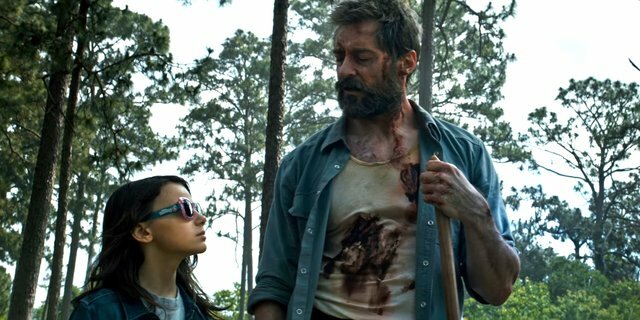 In what is most likely going to be Hugh Jackman’s final outing as Wolverine, Logan is a staggeringly effective epic that breaks away from your usual superhero fare. Taking a more adult-themed turn for their last chapter, it finally gives Jackman the freedom to make the Wolverine movie he (and everyone else) has always craved – a brutal, unflinching, emotional and ultra violent picture that frequently astounds and always entertains. Taking inspiration from the graphic novel Old Man Logan, we join up with Logan and Professor Xavier (Patrick Stewart) in the distant future where Mutants have all but died out. Looking to scrape together enough cash to leave town for good, Logan soon gets involved in the plight of a young girl named Laura (Dafne Keen) who is being pursued by the government for her special abilities, exhibiting skills very similar to his own. Jackman is simply sensational here and really goes all out to deliver a memorable finale. The action is incredible with Jackman exhibiting the same berserker rage that made ‘that’ sequence in X-2 everyone’s favourite X-Men movie moment. The emotional pull is massive here too, with Jackman and Stewart delivering some awesome, tear-jerking moments that will resonate long after the end credits roll. Stewart clearly has fun playing the same character in a new way and their chemistry is outstanding. The supporting cast are all solid too. Young Dafne Keen clearly has fun as Laura, a mutant with very special skills. It’s great to see the criminally underrated Boyd Holbrook lead the line as Pierce, a particularly nasty gun-for-hire. Richard E. Grant chews up his scenes as the shadowy Dr. Rice and it’s nice to see ER legend Eriq La Salle back on the big screen (sadly minus the soul-glo from his Coming to America days) but it’s comedy great Stephen Merchant who impresses the most as Caliban, a mutant who helps Logan look after Charles. It’s very sad to think that this is the last time we’ll see both Jackman and Stewart in the X-Men franchise, but these last 17 years have been amazing. Should this be the end, they’ve done their utmost to make sure their iterations of Wolverine and Charles have gone out on a spectacular high note. But do keep in mind that this movie takes place a good 20 years in the future – should the tantalising prospect of a Wolverine cameo in the next Deadpool movie ever surface, it could still feasibly work. The fanboy allure of seeing Jackman and Reynolds onscreen together is strong, especially given the uniformly excellent reactions Logan is getting from critics and the public alike. The ensemble all delight and director James Mangold has delivered a heartfelt love-letter to the fans. It gives us a savage, violent masterpiece as a fitting tribute to the legend of Wolverine.